You'll be £30.00 closer to your next £10.00 credit when you purchase The Samurai Swordsman. What's this? Samurai tells the story of the courageous and highly disciplined fighting men of this time, showing how they evolved from the primitive fighters of the seventh century into an invincible military caste with a fearsome reputation. In the early seventh century, the samurai rose to prominence during the struggles between the emperor and the military leaders (shogun). They took part in the invasion of Korea, as well as helping to keep Japan free from foreign influence. From the Heian period through to the Onin wars, the history of the samurai is replete with tales of heroism and bloodshed. Although the samurai is most famous for his use of the sword, he also used a wide variety of other weapons, such as the crossbow, the dagger and the spear. Samurai armour and costume were constantly evolving, and by the twelfth century most samurai were wearing the box-like yoroi armour. Samurai examines samurai fighting tactics, as well as acts such as ritual suicide (hari-kiri) and the taking of enemy heads as trophies. Samurai Swordsman is a coffee table book with an abundance of full colour photos, prints, paintings, and portraits (some taking up two pages). Like most of Turnbullâ€™s books, itâ€™s a visual treat. Turnbull also displays an excellent writing style, giving life and a dramatic flair to the tales of old. Turnbullâ€™s bibliography is outstanding (with both English and Japanese language sources from academia and general surveys), and will give readers several excellent avenues to pursue further study. 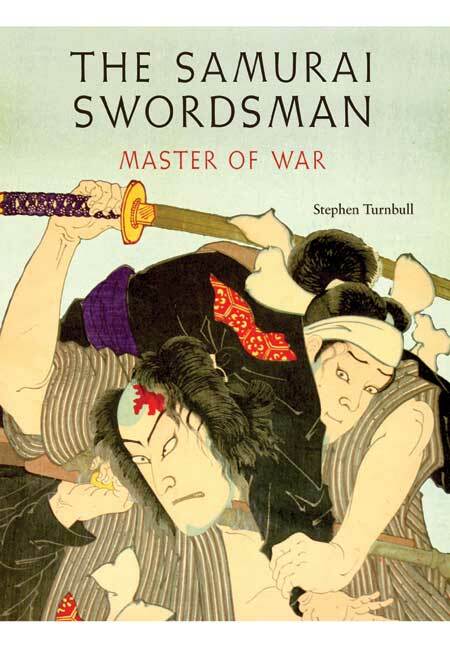 Stephen Turnbull is the world's leading authority on samurai culture. He took his first degree at Cambridge and has two MAs (in Theology and Military History) from Leeds University. In 1996 he received a PhD from Leeds for his thesis on Japans Kakure Kirishitan. In its published form the work won the Japan Festival Literary Award in 1998. He is now retired and is an Honorary Lecturer at Leeds, a Research Associate at SOAS and Visiting Professor of Japanese Studies at Akita International University. He has published 72 books and many journal articles.